for a unique get-away experience. A British Lighthouse built on the southernmost tip of Malta in 1856 this historic property enjoys marvelous views of Marsascala Port and is close to the fishing villages of Birzebbugia and Marsaxlokk. It is also a few minutes’ walk from rocky beaches and the crystal clear waters of Peter’s Pool. 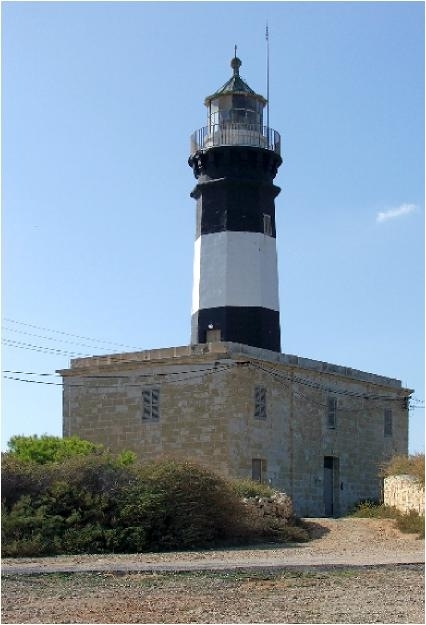 The lighthouse has been restored and is held in trust by Din l-Art Helwa, National Trust of Malta. All proceeds from its use are dedicated entirely to the restoration and environmental funds of the not for profit organisation. The lighthouse consists of two lighthouse-keeper’s apartments converted into a holiday let accommodation. The simplicity of the keeper’s apartments has been retained, with special touches, such as the hanging mosquito nets over each bed, the original stone elements in the kitchen, as well as the colourful limewash colour scheme originally used. The views from each and every room, including the toilets and bathrooms are spectacular, and one feels in touch with nature looking at the sea and wonderful landscape surrounding it. The proximity of Peter’s Pool, and other “out of the way” swimming places, is an added bonus to holiday makers, as are the lovely walking trails, and Xrobb L-Ghagin nature park. It is a place to go and relax, leaving everything behind, and yet being close enough to the vibrant restaurants and atmosphere of Marsaxlokk. The lighthouse is split into two separate apartments with different layouts, and which can be rented individually or together. Each apartment sleeps five persons. On Ground Floor: spacious entrance/sitting and dining area combined with a sofa bed sleeping two, a kitchen, and a guest toilet. First Floor: one bedroom that sleeps three in single beds, a bathroom and shower combined. All comfort commodities are supplied. At Ground Floor: a spacious entrance/ sitting room with a sofa bed sleeping two, large kitchen with dining area combined, one single bedroom, shower and toilet. First Floor: which consists of one twin bedroom, a bathroom and dressing room. This entry was posted in Featured, Homepage by George. Bookmark the permalink.